Steven Holl will give the 6th Presidential Lecture at Soongsil University on Monday, October 1, 2018. Giving the lecture in the Reverend Han Kyungchik Memorial Hall, Holl will discuss the theme of “Making Architecture”. The lecture coincides with the opening of the exhibition “Steven Holl: Making Architecture” in Seoul. The exhibition will be on view at Soongsil University from October 1 to October 28, as part of the Architecture and Urbanism Festival. It will then move to the Seoul City Museum, where it is on view from November 9 through January 11. Read the rest of the Joongang Daily Newspaper article (in Korean) here. 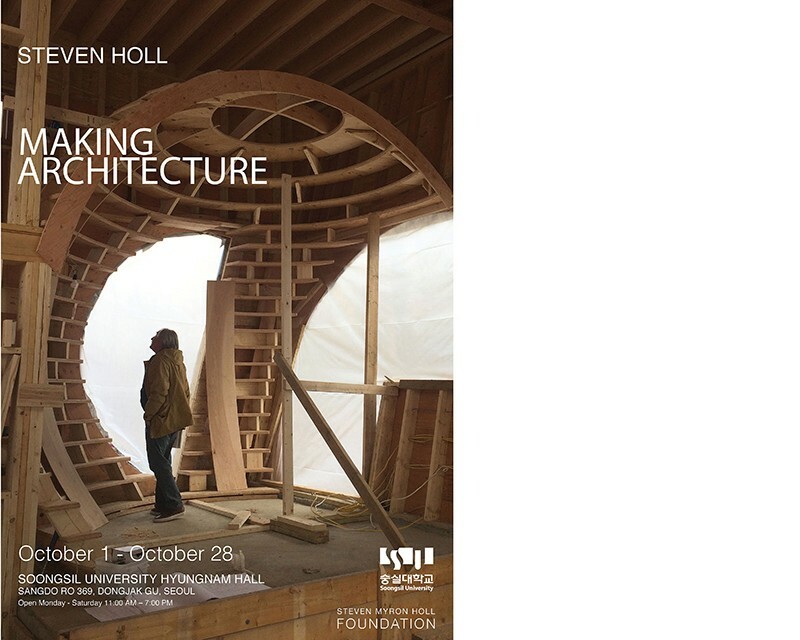 Learn more about “Steven Holl: Making Architecture” here.